Your vehicle is a complicated piece of machinery; one that you’ll invest a lot into. Understanding the importance of auto maintenance and acting on it will help you save money and increase the lifespan of your car or truck. Below are frequently asked auto maintenance questions and answers to help you manage your auto care needs. We’ll update this FAQ frequently, so check back often for new questions! Contact Dave’s Muffler if you need to schedule auto maintenance in Kenosha, WI. 1. Why should regular auto maintenance be a priority? Aside from the most obvious benefits of auto maintenance – like increased longevity and maintained safety – there are a number of other benefits to reap from having your car or truck regularly serviced. You’ll enjoy a smoother, more controlled drive when your wheels are correctly aligned and tires properly inflated and balanced. Taking care of your engine also results in improved fuel economy and peak performance at any age. 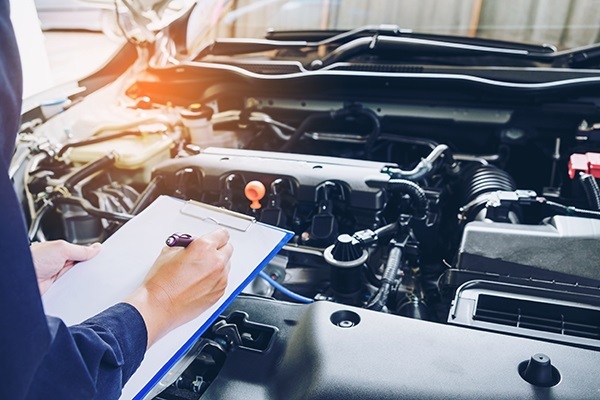 Most importantly, seeing your mechanic regularly for check-ups helps catch minor car problems early so parts can be replaced or repaired before a major and costly malfunction occurs. 2. How often should I get my oil changed? Consult your owner’s manual to find out exactly how often your vehicle’s oil should be changed and what type of oil to use. In general, conventional oil should be changed every 3,000 – 5,000 miles; synthetic oil can last almost twice as long as regular motor oil, so you can go 7,500 – 10,000 miles in between each oil change. 3. What type of oil should I use? Most vehicles manufactured after 2013 require synthetic oil. While it does cost more than conventional oil, it lasts much longer; resulting in fewer auto maintenance trips. Synthetic motor oils are also a good choice for vehicles with high mileage, those used for towing, or operated in extremely cold or hot climates. 4. How often do I need to check my antifreeze? Antifreeze is more important than you may think. Also known as “coolant”, antifreeze plays a major role in maintaining the optimal temperature of vital parts under your hood. It helps prevent your engine from overheating and keeps water from freezing in the winter; so your car can operate fine year round. Checking your coolant level every month is good practice. However, your vehicle’s antifreeze fluids should be changed completely every 30,000 miles or 2 to 3 years. 5. When do i need to replace the fuel filter? Fuel filters should be replaced every 20,000 – 40,000 miles; check your manufacturer’s manual for the exact requirements of your vehicle’s make and model. You can often couple this service with spark plug replacement, which is necessary every 30,000 miles. 6. How often should I change my wiper blades? 7. My check engine light came on; do I need to see my mechanic right away? If your check engine light comes on, you should be fine to continue to your destination. However, a mechanic should be seen for a diagnosis sooner rather than later to ensure it isn’t a serious problem. Some common causes of a check engine light include: a loose gas cap, bad O2 or mass air flow sensors, faulty spark plug wires, or even a catalytic converter problem. 8. When should I change my timing belt? Depending on the year your vehicle was manufactured, recommendations for timing belt replacement can range from 60,000 – 100,000 miles. It’s best to consult your owner’s manual to find out exactly when your manufacturer recommends replacement. It’s always smart to ask your mechanic to check belts for cracks or any other visual damage during your regular maintenance appointment too. 9. When should I rotate and balance my tires? Your tires should be rotated every 5,000 to 8,000 miles; and can often be done alongside your regular oil changes if you are using synthetic oil. You should balance your wheels anytime new tires are mounted or after you’ve replaced a flat tire. 10. What is the recommended tire pressure? Check your owner’s manual or the tire placard (often located on a vehicle’s doorpost, door edge, glove box door, or fuel door) for the correct air pressure of your tires. For many cars, proper air pressure is in the range of 30 – 35 PSI. 11. How can I prevent my engine from overheating? The best way to prevent a car’s engine from overheating is by servicing it as recommended by your owner’s manual. Anti-freeze (radiant coolant) keeps your engine from both freezing and over-heating. Like the other fluids critical to your engines operation, coolant needs to be drained and refilled ever so often to work effectively. 12. How can I get better fuel economy? Keeping up with your auto maintenance needs is often an easy and effective way to maintain or improve your vehicle’s fuel economy. This includes keeping your engine fluids in check, changing your air filter a couple times a year, having your oil changed frequently, and maintaining proper tire pressure and wheel alignment. 13. How often should I check and refill my vehicle’s fluid levels? When maintaining your vehicle, there are five fluids to keep an eye on. It’s smart to check your oil monthly, especially in older vehicles. Depending on the type of oil your car uses – conventional or synthetic – you’ll need to change your oil somewhere between 3,000 and 10,000 miles. Check your owner’s manual for what’s right for your car or truck. Brake fluids are essential to the performance of your braking system, and in turn, critical to the safety of your car. It’s smart to have your brake fluid checked during your regular oil change appointments; however, it only needs to be replaced every couple of years. Your transmission fluid level should never be low. Unlike oil, you’re going to look at the fluid’s quality not volume. Brown burnt smelling transmission fluid needs to be replaced – fresh transmission fluid is red. When to change your transmission fluid is dependent on the type of transmission you have. In most vehicle’s, this fluid needs to be drained and refilled every 50,000 – 100,000 miles. Radiator coolant only needs to be changed every couple of years; it should be topped off if it’s low, but with the same type of anti-freeze already in your vehicle. It’s important to check your coolant levels at least bi-annually, just in case. You should check your power steering fluid quite frequently, and consult your owner’s manual to confirm when/if you need to have your power steering fluid change. In most cases, this fluid needs to be replaced between 50,000 miles and never. 14. My vehicle’s brake warning light is on, what does it mean? You can inspect a few of the items above yourself, but a mechanic will be your best bet for finding, diagnosing, and resolving the issue quickly. 15. Do I need winter tires? Living in Wisconsin means driving in the snow is unavoidable. Make sure your vehicle, and the vehicles of your loved ones, are ready for the dangers of snow driving. The tires on your car or truck will make an immense difference on your stopping and steering ability. 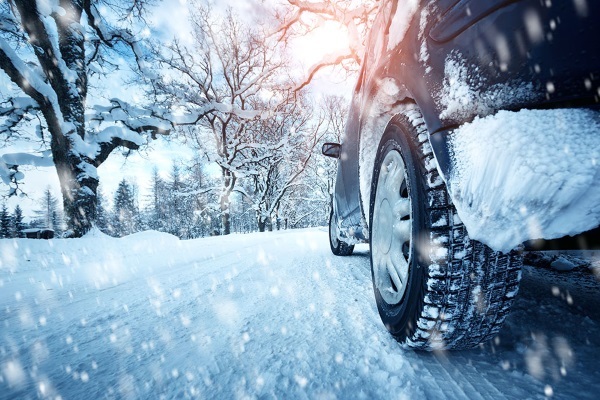 All season tires are sufficient in snow driving, but only if they have been properly cared for and have the tread depth necessary to keep your tires gripping the road. Ideal tread depth is 5/32 of an inch. Worn tires can absolutely lead to your vehicle sliding around the road if it hits an ice patch. Winter tires are designed with a special rubber that is more pliable in extreme cold; making them better for cold weather, wet or dry. Winter tires should not be driven year round; warm weather will wear the soft rubber much faster and make them ineffective come next winter. Good tires will give you more control over your vehicle when driving in the snow. However, speeding can impede their ability to properly stop or steer your vehicle. Whether there is a lot of snow or just a little, you should take proper precautions and drive slower. 16. Do I need to heat up my car before driving in the winter? Whether or not you should warm your vehicle up in the winter is a surprisingly controversial subject. We’ll breakdown both sides of this important question so that you can decide what’s best for your vehicle. For vehicles that use a carburetor – most common in vehicles built earlier than 1995 – idling in the winter is a must. If you’re driving around an old classic or even an old hunker, let it idle for a few minutes before driving it. For fuel-injected cars (modern vehicles), however, most experts say you should not idle your vehicle – it is a waste of gas and bad for the environment. Some even argue idling can make your engine parts ware faster. They recommend you take it easy the first 10-15 minutes of driving; keeping your vehicle at neighborhood speed. 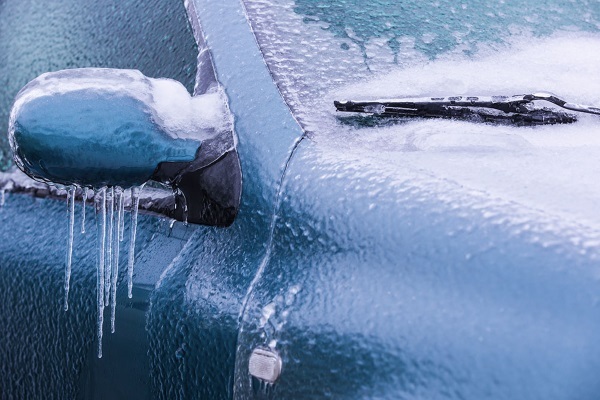 Unfortunately, in Wisconsin, heating up your vehicle is sometimes unavoidable – especially if it’s covered in ice. If you store your vehicle in a garage or you can easily clear it of any snow and ice, we suggest you brave the cold and skip heating up your car or truck. If you just aren’t sure what’s best for your vehicle, don’t be afraid to ask your mechanic. Check back later for more FAQs or contact Dave’s Muffler to schedule auto maintenance in Kenosha, Wisconsin.